Our custody agreement ebook covers every detail you need to think about when creating a custody agreement, especially in a high conflict divorce, to get the most parenting time and minimize conflict. The biggest problem with standard custody agreements is vague language and a lack of details. When you have one parent that wants to cause problems, a vaguely worded child custody agreement can wreak havoc on your life. Something as simple as “children will have visitation with father from Friday-Sunday” leaves a lot of room for interpretation. What time will he have them? Where will the exchange take place? Who will do the transportation? If you currently have an agreement like this, you know what types of problems can occur. The Custody Agreement Ebook details each area of custody that you need to consider, and the details you need to include in your final parenting plan in order to avoid problems with interpreting the agreement for custody. 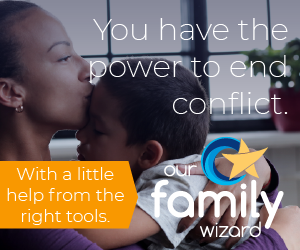 When you have a vague or standard custody agreement, you are forced to discuss and decide on issues with your ex, and if you are in a high conflict custody situation, the communication is probably not all that nice. Creating a solid legal custody agreement with details spelled out for custody time, education, health care, child care, holidays, vacations, extra curricular activities and other areas of your child’s care, means there will be little need to talk to your ex. Including details on how communication will take place when needed can also stop harassing phone calls, text messages and emails. Vague custody agreements lead to court filings in order to have a judge determine who is interpreting the agreement correctly. Including details that simply can’t be misconstrued will go a long way to avoiding problems, and avoiding possibly being in contempt yourself. You will also find another way to almost eliminate additional court filings in the Custody Agreement Ebook and the associated court costs that come with going back to court. The most frustrating problem in a high conflict relationship is dealing with an ex that will agree to something, and then change their mind. They’ll agree to give you more time, but then say no when you come to pick them up because you didn’t do some favor for them. They’ll agree to a change, you have your attorney draw up the papers, and then they won’t sign them, having wasted your time and money. The Greatest Custody Cause eliminates these issues. It is the single most used clause in our own joint custody agreement and has won more contempt issues and attorney’s fees from my ex-wife than any other clause in our custody agreement. You MUST have this clause in your agreement to make your life easier. The custody agreement ebook helps you take into consideration every aspect of your custody situation to avoid conflict, lesson communication problems, and close loopholes that often appear in standard custody agreements with phrases like “reasonable contact” and “exchanges shall take place on Sundays.” In a high conflict custody situation your agreement needs to be as specific as possible while looking forward to changes your child will need as they grow to avoid returning to court over and over. CLICK HERE to order today at the special $19.95 price!